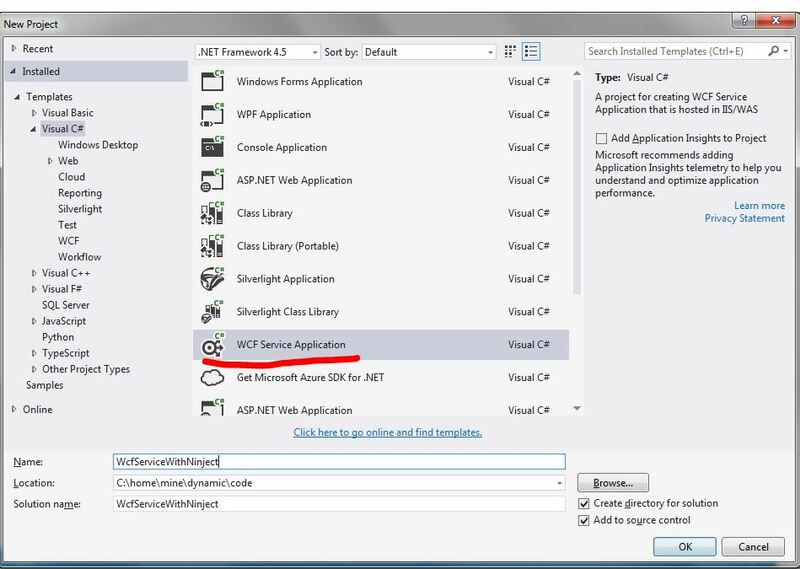 This is a step by step guide on how to create a WCF Service using Ninject to resolve (inject) its dependencies. We start from scratch by creating a New C# WCF Service Project and end with an example of the service being instantiated with its dependencies resolved by Ninject. The code that resulted from this guide can be found here. 2. Run Install-Package Ninject.Web.Common.WebHost from the package manager console. Make sure that you are using NuGet 1.6 or higher. Using an older version will result in missing references. Figured out this step after reading this. We’re finally ready to see this working. 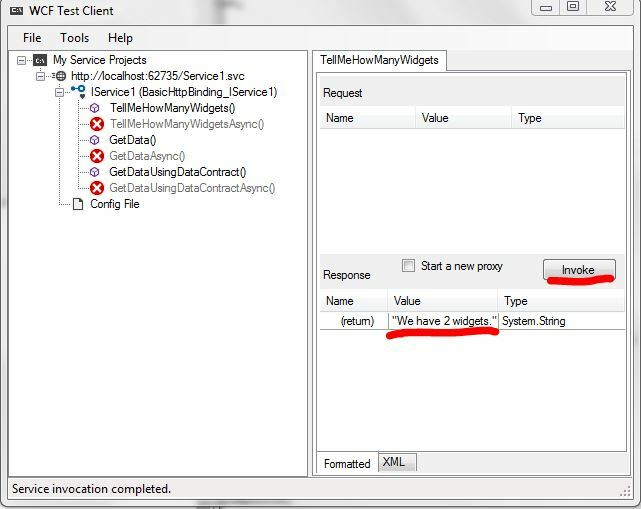 Select the Service1.svc file on the Solution Explorer and hit F5, this will make the WCF Test Client appear. Double click the TellMeHowManyWidgets method and hit the Invoke button. There it is! Our service replied with “We have 2 widgets”. This proves that the IRepository dependency was fulfilled by Ninject with a Repository object.